Liaoning Medical University (Jinzhou Medical University) warmly welcome the overseas students to study English Taught MBBS and other courses. 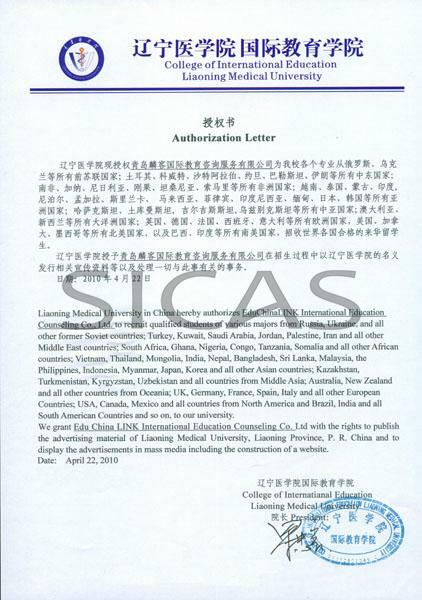 SICAS(Study In China Admission System) offers free online information for international students to Study in Liaoning Medical University (Jinzhou Medical University) in the most accurate, effective and safe way. Located in the province of Liaoning in the north-eastern part of China, Jinzhou Medical University (Liaoning Medical University) (JZMU) enjoys very god reputation in China for its pragmatism and has cultivated numerous outstanding medical talents. Among all the courses available there, there is the popular MBBS. Recently, there are 190 international students are studying there. If you are interested in MBBS, please join JZMU.